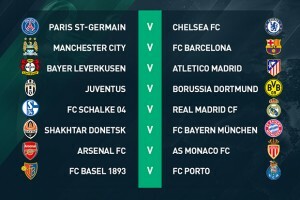 Chelsea would also be locking horns with Paris Saint-Germain which would be a replay of last year’s quarter final clash which Chelsea got away with with a late drama at the Stamford bridge. Chelsea has been in scintillating form all through the season losing just one match in all competitions. With arguably the best defense so far in Europe and also making excellent recruitment (Fabregas,Luis Felipe,Diego Costa), one can say they have a very good chance to win the ultimate prize. But coming up against a team that has the self proclaimed god, Zlatan Ibrahimovic, the hard working Blaise Matuidi, the excellent Marco Verrati, the ever efficient Thiago Motta and arguably the best defender in the world Thaigo with Cavani in their ranks and file, they are not less in quality to upset any team in the competition and Chelsea would have to be extra careful and very tactical to be able to get something out of this tie. Reigning champions Real Madrid the Blancos would have a date with Schalke 04. Madrid may seem to have a less daunting task as compared to others, but hey, this is the Champions League and upsets do happen from time to time. But trust the likes of Cristiano Ronaldo, Bale, Isco, Modric, Kroos to make mince of an unconvincing Schalke team. Schalke though the under dogs of this match would be determined to stage an upset as they have the likes of Boateng, Draxler, Howodes and Huntelaar in their fold. Madrid are the definite favourites but would still have to scale through with a good fight. Furthermore, Athletico Madrid would be squaring with Bayern Leverkusen, a match which looks even though Athleti has the advantage over the Germans. The question however is would lightening strike twice as Athleti would be gunning to reach the finals of this competition once more or would Leverkusen who are third in the bundesliga and usually lack lustre after making it via the group stage would this time around be the blockade to their success story. With an exuberant coach like Diego Simeone and his charges like Mario Mandžukić,Griezmann, Miguel Ángel Moyà and others who have taken the place of Diego Costa, Luiz Felipe and Thibaut Courtois to Chelsea, trust Athleti to come all guns blazing. But they would have to watch out for the excellent Son Heung-Min if they want to qualify from this tie. 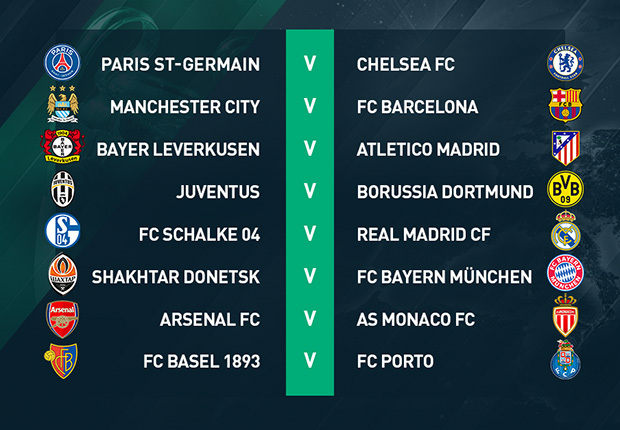 Juventus would have a bone to pick with Borussia Dortmund which is a tricky tie to predict. These are two contrasting teams with Juventus leading the league in Italy and Dortmund trying to find its feet in the German league. These two teams have a lot at stake to prove to their fans. 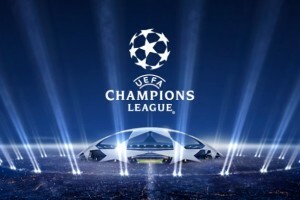 Juventus has not done so well in Europe whiles Dortmund are surprising even themselves with their performance in the Champions league which is contrary to their league form. But to know how this will turn up, lets wait and see.